If you’ve ever seen the American movie, The Truth About Cats and Dogs, then the premise of She Was Pretty will be immediately familiar to you. A below-average looking girl asks her gorgeous best friend to pose as her when she reunites with the man that she secretly had a crush on as a child. Since this is a somewhat novel storyline in the Korean drama world, I was intrigued by how She Was Pretty would execute the mistaken identity plot. Honestly, I was hoping that the mistaken identity would only be used as a hook or a comedic twist. Unfortunately, it serves as the central tension, for which the drama becomes both predictable and prolonged. The other gripe I have with She Was Pretty is that I have trouble finding many of the characters relatable or even likeable. Even though She Was Pretty hauls in an attractive cast, featuring Hwang Jung Eum and Park Seo Joon, I found myself turned off by their roles for the first half of the drama. It felt as if the characters were manipulated to fit the development of the storyline, rather than the other way around. What She Was Pretty does successfully deliver is an amusing comedy with heartfelt acting. However, without the actors’ charms, She Was Pretty appears to be just another typical drama lacking deeper substance. Without the actors’ charms, it’s just another typical drama lacking deeper substance. 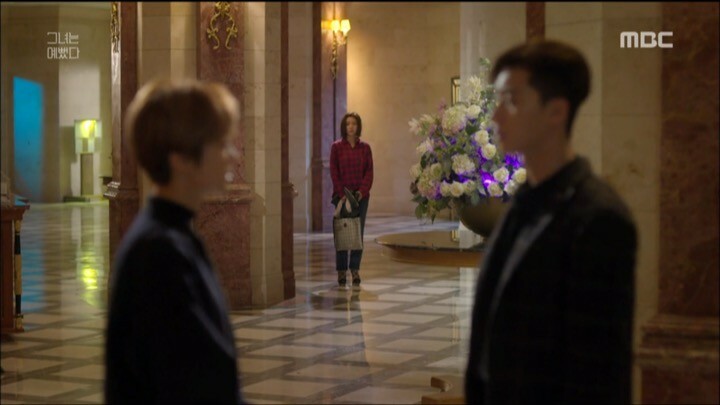 She Was Pretty quickly prepares the stage for our central conflict as we are introduced to two unlikely best friends: Kim Hye Jin (Hwang Jung Eum) and Min Ha Ri (Go Joon Hee). Hye Jin appears with an incredulous image of major red blush, extreme freckles, and uncontrollably frizzy hair. She’s an inconspicuous girl who used to be the prettiest girl in her class. On the other hand, Ha Ri, Hye’s Jin’s childhood friend, has chic styles and men lining up to date her. However, Ha Ri loves her “wife” and roommate, Hye Jin, more than any of these men. Hye Jin receives an e-mail from Ji Sung Joon (Park Seo Joon), her childhood friend and first love, requesting to meet. Because of Hye Jin’s complete change in appearance, Sung Joon does not recognize her at all and walks right past her. In an effort to preserve her childhood image, Hye Jin quickly calls in a favor for Ha Ri to meet with Sung Joon in her stead. At first, it seems that Hye Jin has successfully survived this encounter. However, she ends up working at a fashion magazine publishing company in which Sung Joon is the deputy chief editor. Unbeknownst to the rest of the fashion editorial department, Sung Joon has been hired to save the magazine from impending discontinuation. In order to increase sales and keep them motivated, he treats all of his employees harshly. He is especially callous towards Hye Jin, whom he finds incompetent. The misunderstanding of Hye Jin’s identity also deepens further as Sung Joon continues to meet with Ha Ri, who begins to develop personal feelings towards Sung Joon. She Was Pretty starts out promising with a playful plot, comedic elements, and appealing characters. The flashbacks to the childhood memories between Hye Jin and Sung Joon are sweet and endearing. Yet the drama soon falls out of favor when the characters begin to serve a mechanical function of creating conflict. Instead, I wish She Was Pretty could’ve explored more compelling character development around the theme of superficial beauty without all the unnecessary drama. Every scene that shows Shin Hyuk interacting with Hye Jin is immensely entertaining. I was very disappointed that Ha Ri becomes the antagonist, as I quite liked her down-to-earth, strong-willed personality from the get-go. Ironically, she gives Hye Jin sound advice at first but then becomes the senseless one herself. Although I acknowledge that the drama elaborates on her backstory and challenges the camaraderie between Hye Jin and Ha Ri, I honestly just wish they hadn’t gone down that path. Meanwhile, Hye Jin’s character feels very exaggerated with child-like temper tantrums that seem completely disparate from her former youth. Sung Joon also acts unreasonably condescending with no remorse. The only saving grace is the light-hearted, quirky Kim Shin Hyuk (Choi Si Won). Every scene that shows him interacting with Hye Jin a.k.a ‘Jackson’ is immensely entertaining. The relationship between Hye Jin and Sung Joon slowly alters when they somehow end up in several awkward one-on-one situations. Sung Joon’s hard shell also breaks down bit by bit when he is caught in embarrassing circumstances in front of Hye Jin. Eventually, the power of their childhood affinity prevails when they start to bond over common interests and gel like they used to when they were kids. I really like this turning point in the drama because the characters begin to normalize. At this point, Ha Ri is becoming more intentional in betraying her loyalty to Hye Jin. Out of all the characters, she seems to be the most complex. I wish the drama had continued to elaborate on her loneliness and broken family relationship since she has the most interesting backstory. Instead, it feels like her purpose is just to delay the storyline and cause superfluous drama because it’s clear that Sung Joon does not feel the same way about her. Perhaps I’ve just become weary of how conflicts always seem to depend on hiding secrets for far too long. I really like this turning point in the drama because the characters begin to normalize. Hye Jin becomes less erratic and inept, and Sung Joon acts less disdainful and displays a more genuine and caring side. 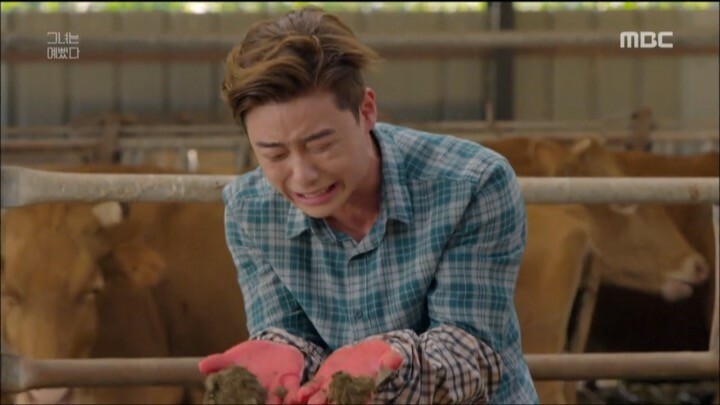 Finally, I’m able to appreciate Park Seo Joon’s diverse acting because playing a jerk really doesn’t suit him. These episodes also showcase the comedic writing and acting that truly enable the show to thrive. For fans who have been waiting for the makeover episode, Hye Jin finally reveals her grand metamorphosis. I actually like her better as an “ugly duckling” because she was more fun and carefree with her permed hair and scarlet cheeks. Sung Joon becomes more clear about his feelings towards Hye Jin, and he starts to suspect Hye Jin’s identity when he realizes all the obvious similarities. Then, just as Hye Jin stirs up the courage to confess the truth to Sung Joon, she learns that Ha Ri has been meeting with Sung Joon behind her back. Hye Jin nobly places her best friend’s needs above her own and decides to stomach her feelings. This eventually leads to a lot of uncomfortable awkwardness from Hye Jin that both Sung Joon and I can’t understand. Now that the tension is at its peak, She Was Pretty really hones in on the sanctity of the friendship between Hye Jin and Ha Ri. However, I don’t feel touched the same way I do in other dramas that tug at my heartstrings. I see the close bond and love that Hye Jin and Ha Ri share for each other, which is surely sweet. Yet it feels insincere because it doesn’t make sense that Ha Ri was dishonest to Hye Jin for so long. I especially dislike how every time someone does decide to come clean and spill the truth, it gets predictably interrupted. At last the truth is out! Kudos to Sung Joon for just being elated that the girl he loves is in fact the girl that he wants to love. I’m glad he wasn’t hurt or angry that he was kept in the dark this whole time. Hye Jin needs more convincing though because she still chooses not to open her heart to Sung Joon due to her loyalty towards Ha Ri. Sung Joon is willing to wait, but he also can’t help himself from flirting with Hye Jin. This is supposed to be an emotional chapter, but once again, I’m not as compelled by the girls’ friendship as others might be. 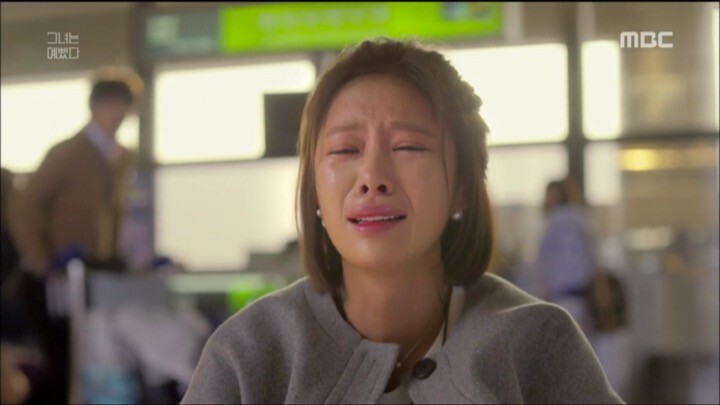 I almost feel like Ha Ri doesn’t deserve Hye Jin’s devotion towards her. This is by no fault of the acting, which is consistently vibrant and thoughtful. There’s just very little to empathize with since the characters are somewhat lacking in depth. 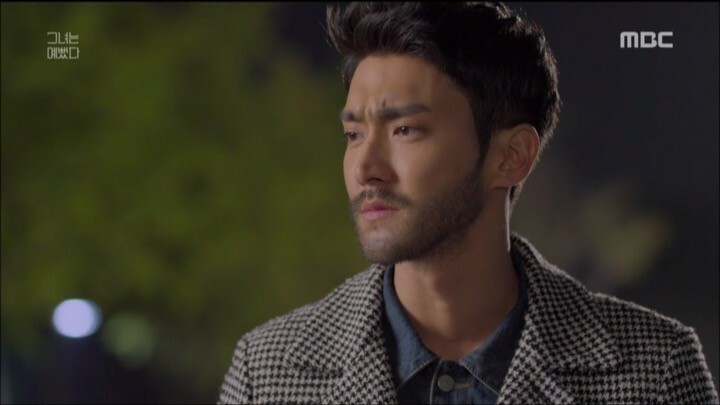 One character who does hit me hard emotionally is Shin Hyuk. On the surface, he seems to be a jocular prankster, but he actually feels very tormented throughout the series as he secretly watches over Hye Jin. The drama does a good job of building mystery around his character and conveying his tender affection for Hye Jin. He never really has a chance with Hye Jin, but I definitely jumped on the bandwagon of second lead syndrome. Now that the friendship conflict is wrapped up, I can comfortably enjoy the cuteness overload between Hye Jin and Sung Joon. We also anxiously anticipate the outcome of the magazine’s last hurrah to stay in publication. The office bands together to make the best issue ever for their 20th anniversary, and they do it while having fun and enjoying every last minute. Honestly, that should have been Sung Joon’s approach all along. We also discover some hidden identities ourselves, which makes for an interesting twist. 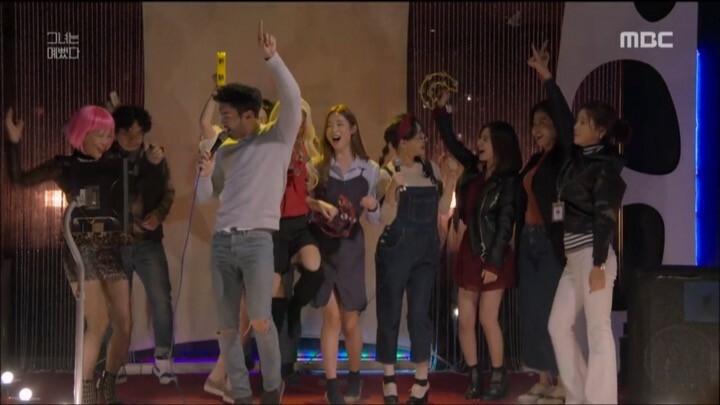 All in all, She Was Pretty closes on several heart-warming notes, including a tribute to Shin Hyuk and a glimpse into the future of Hye Jin and Sung Joon. I love that Hye Jin switches back to her old appearance because neither Sung Joon nor Shin Hyuk liked her for her looks anyways. I really like how the drama recaps that we have the choice to be more than just supporting characters in our fairy tale. It’s a wonderful theme, and I still feel that it could’ve been capitalized and developed more in She Was Pretty. At the same time, I know that a lot of people will still thoroughly enjoy this drama for what it is – a feel-good story about friendship and embracing one’s identity.